Last year the Flying Scotsman entered Cornwall for the first time, this is the moment it appeared under the arch of the Brunel bridge at Saltash. 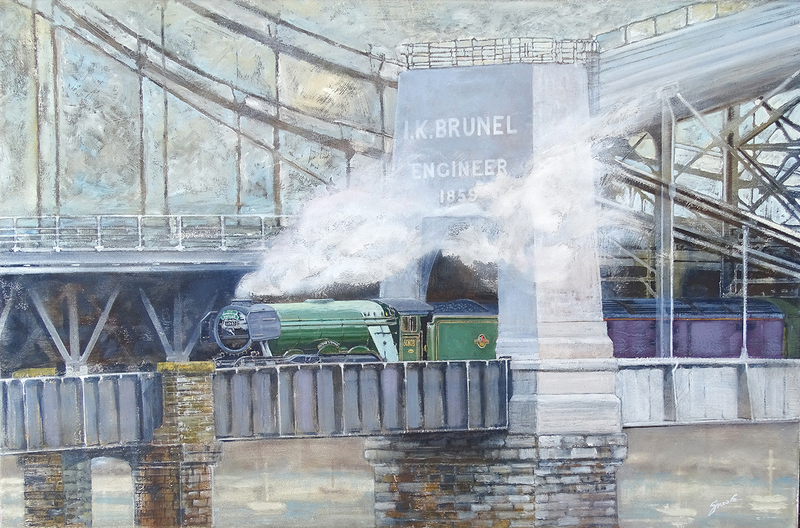 In the background is the newer road bridge (1961) as opposed to 1859, but both structures add to the beauty of the architecture of this oil painting. Sold unframed on a stretched canvas.